If you’re similar to small enterprise owners , chances are you do stay away from accepting American Express® because of the higher fees they impose on merchants . However American Express® was once an elite card for the wealthy , the bank now provides various cards that satisfy the needs of a diverse range of debtors . As a lot of people use American Express® , failure to accept them may turn potential customers away — and adversely affect the bottom line of your small business. In actual fact , small businesses that do not presently accept American Express really should reconsider American Express acceptance under this brand new program . 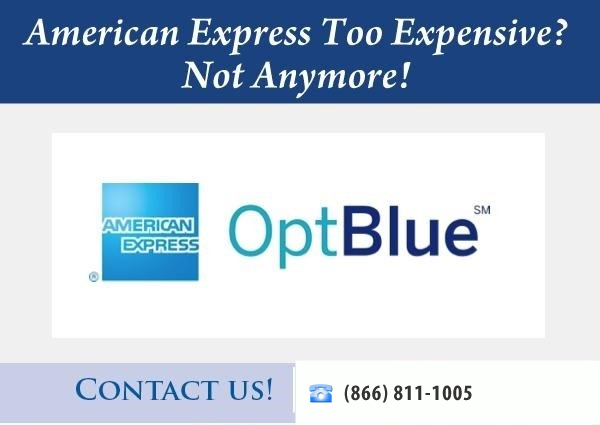 American Express® launched the OptBlue™ program in May 2014. In the past, American Express® financed and processed each transaction — unlike Mastercard and Visa, which only process payments. With OptBlue™, American Express® card acceptance just got a lot less expensive, because participating acquirers take over the processing. That means you can expand your customer base to include those who only use American Express®, regardless of the card they own. Merchant Industry is a Native American-owned, full-service ISO. We can guarantee our rates are the lowest in the business because we don’t pay taxes. That means we pass our savings on to you without having to cut back on security, technology or customer service. We’re so certain that we can save you money, we guarantee it — find a lower guaranteed rate and we’ll pay you $500. It’s that simple. When you partner with Merchant Industry, you can spend your resources on what’s most important —improving your bottom line. If you’re ready to find out how Merchant Industry can support your growing business, call us at (866)-811-1005, or fill out this form for a fast reply.